One of the deciding factors when buying a new mouse is going to be whether you want a wireless mouse or one with a cable? Wireless mice are more convenient with no cables to get in the way, but they often have some lag which you will not notice in everyday use but could affect gaming performance. Wireless mice also require batteries which can be a real pain if the batteries go flat right in the middle of something important – especially if you don’t have spare batteries in the house! If you decide on wireless mouse, you have choices in terms of how they connect to your computer, Bluetooth or RF. RF (radio frequency 2.4Ghz) mice are usually better, more responsive, a longer range plus much better battery life – but they require a USB receiver which is usually in the form of a USB dongle which means they will tie up a USB port on your machine. Bluetooth mice are not quite as common and are often slightly more expensive, but they will pair with many Bluetooth enabled computers without needing a receiver plugged into a USB port. However the differences are really minor, and unless you have a shortage of USB ports, there is no point being too picky about Bluetooth versus RF 2.4Ghz wireless. JETech 2.4Ghz Wireless Mobile Optical Mouse – this popular mouse model has an extremely long battery life of up to 18 months from a single AA battery and is plug and play compatible with Window 98/2000/NT/ME/XP/win7/Win8/Win10 operating systems with no driver required. 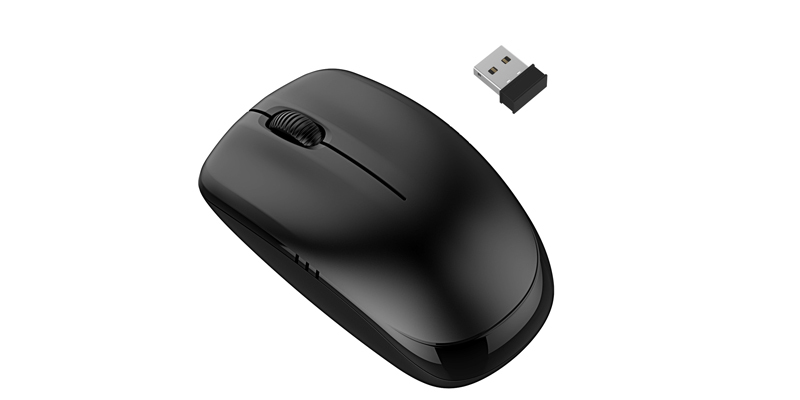 There are 3 adjustable DPI levels and the USB receiver is inserted in the back of the mouse to use the standard 2.4G frequency technology at up to 10 Metres. The Infrared technology gives a smooth track over most surfaces too and is really comfortable to use. TeckNet M002 Nano Wireless Mouse – this Technet device uses 2.4Ghz frequency technology and can offer a range of up to 15 metres and the USB Nano Receiver is Plug and Play in your PC USB port. You can select your favourite cursor speed to suit both everyday use and high speed gaming needs. Like the JETech mouse, this device uses an Auto Power Off function to extend battery life up to 18 months from just one AA battery, plus there is a handy Battery Level Indicator so you know when power is running low. JETech M0884 Bluetooth Wireless Mouse – this is a wireless mouse that uses the Bluetooth 3.0 technology which offers a similar range to RF wireless mice of up to 10 metres. Bluetooth is compatible with all operating systems, so will work with any Bluetooth enabled device, whether Windows, Apple or Android. The slim design of this mouse makes it very comfortable to use and it is an ambidextrous design. The mouse is easy to pair and operate too, with a High-definition optical sensor and smooth side-to-side scrolling.